Outer Farne. 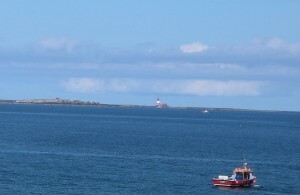 Longstone Lighthouse (the red & white striped one) was built in 1825 and first functioned on 15th February 1826. It was made famous by Grace Darling and her father, the lighthouse keeper, William Darling. On the night of the 7th September 1838 they rescued nine survivors from the Forfarshire, a paddle steam ship bound for Dundee, which ran aground on Big Harcar in stormy seas. 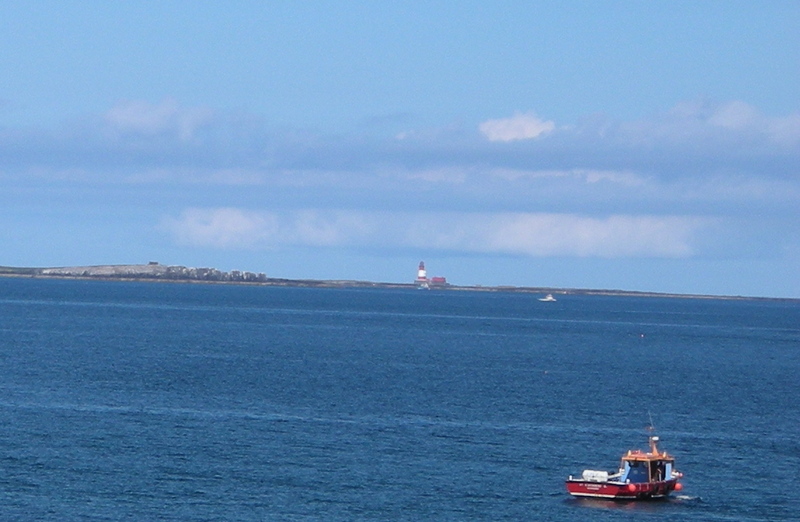 When I took this photo we were in the fishing/holiday town of Seahouses, we also visited the Royal National Lifeboat Institution base, the magnificent modern lifeboat housed there is named The Grace Darling. They regularly get called out to rescue irresponsible tourists who get stranded in the rising tide of the causeway to The Holy Island of Lindisfarne, they drive their cars onto the causeway even when the tide is racing in, not seeming to realise that the Tide Times posted everywhere are serious! 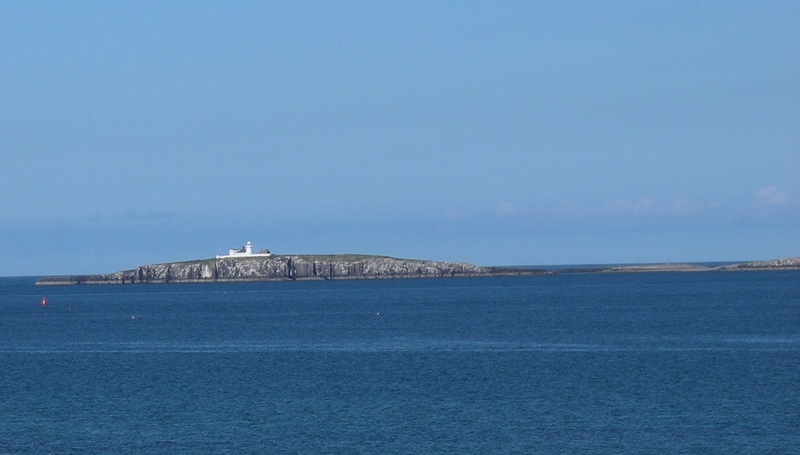 Inner Farne. The first visitor recorded by name was Saint Aidan followed by Saint Cuthbert. The latter was called to the bishopric of Lindisfarne but after two years he returned to the solitude of the Inner Farne and died there in 687, when Saint Aethelwold took up residence instead. Among other acts, Saint Cuthbert introduced special laws in 676 protecting the Eider ducks, and other seabirds nesting on the islands; these are thought to be the earliest bird protection laws anywhere in the world. Eider ducks are, to this day, known locally as “Cuddies ducks”, ‘Cuddy’ has been a local nick-name for anyone called Cuthbert for many years. 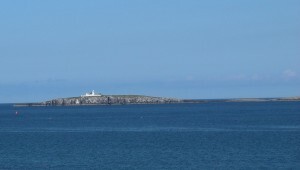 Apart from the Inner Farne Lighthouse, all the buildings on the island date from the monastic period. This entry was posted in Celtic 'saints', Living History. Bookmark the permalink.